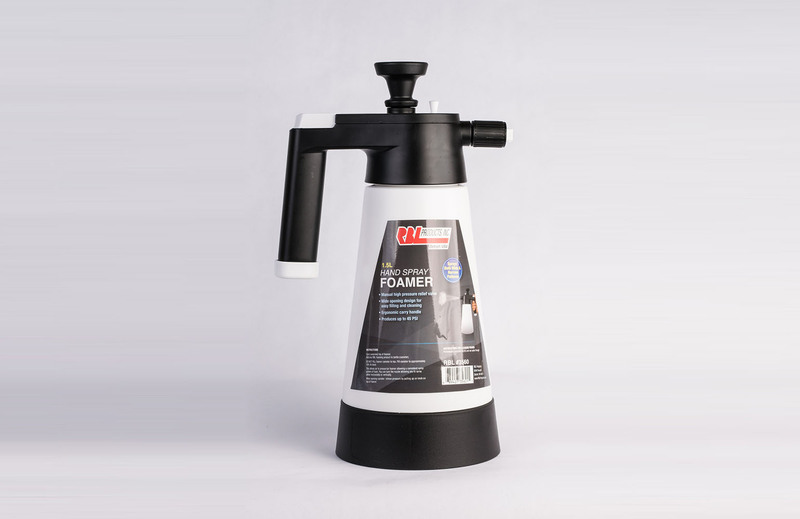 Our Foamer is the heart and soul of our foaming product line. 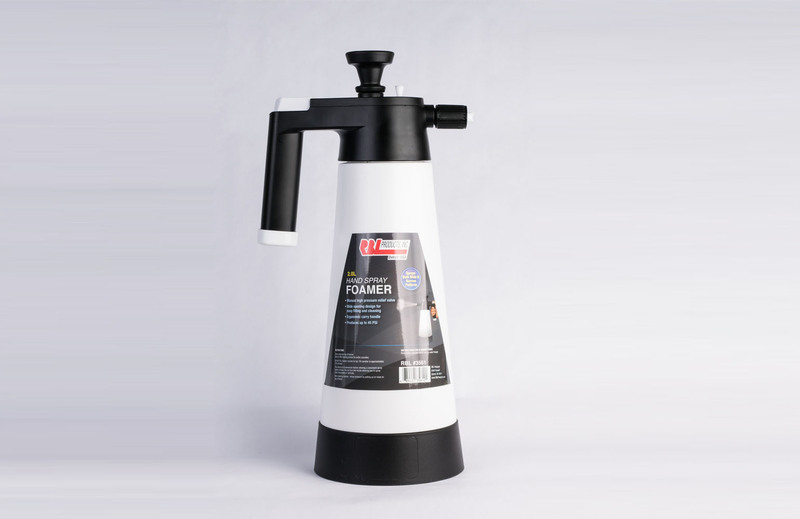 A simple pump action pressurizes the sprayer to produce a consistent foam that doesn't drip. Washing and waxing large vehicles, RV's and boats are made simple with RBL's Foamer. The compact design allows easy transportation around the dealership parking lot, down the dock to the boats, or around the shop.